Media and entertainment companies, the powerhouses of digital asset creation and distribution, require high-performance, cost-efficient, and secure storage solutions. 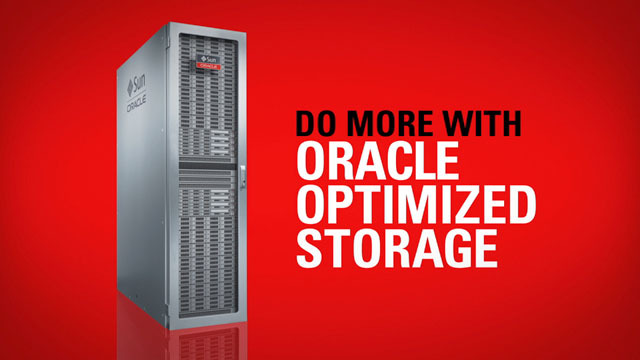 Oracle storage appliances have demonstrated tremendous success in these environments thanks to their unique in-memory architecture and ability to cost-effectively secure and accelerate digital assets. The media and entertainment industry brings together cutting-edge creativity and technology in continually groundbreaking ways to deliver rich digital experiences to consumers. Advancements in movie making, higher-than-ever resolution media formats, Internet Protocol television (IPTV), and media streaming have ushered in the need for high-performance, high-efficiency storage solutions. Come hear from Oracle product management and industry veterans how Oracle storage can help your business run more efficiently and effectively.